Accidents happen. Especially when copious amounts of alcohol is consumed. 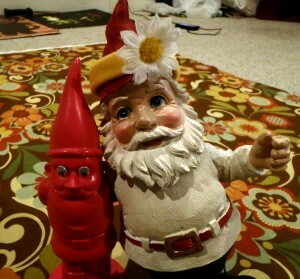 Gnomes are no exception to the rule. 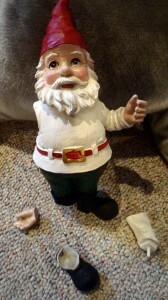 Gnomes from the Midwest aren’t exactly used to checking the local paper for the tide schedule. 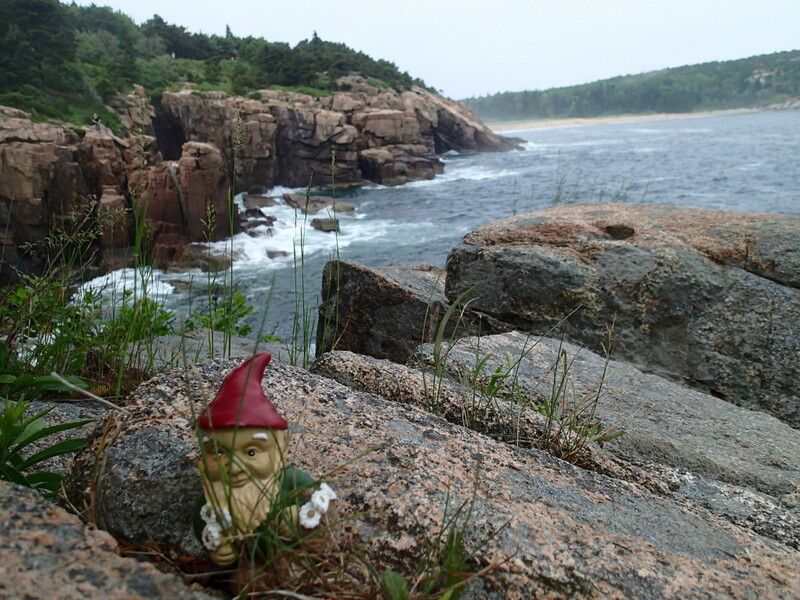 As part of my gnomish tour of the Northeast, I arrived in Maine the other day and checked into a tree stump on the outskirts of Bar Harbor. My stump host informed me about the free L.L. Bean shuttle that drops humans and gnomes off in Acadia National Park. I went on a short hike in hopes of tasting ocean water. I’d recently run out of potato chips and I was having a crazy strong craving for salt. Apparently, the second daily high tides have been coming in during the early evening hours. That’s what the rescue crew told me when I got stranded on this here rock yesterday anyway. Some gnomes (like Sheldon) have been known to swim, but I most certainly cannot. After being swallowed by the sea, I had no choice but to cling onto these sturdy blades of grass and belt out Journey songs ’til some Asian family spotted me from across the beach. I’d like to extend a hearty “thank you” to the U.S. Coast Guard at this point. You guys aren’t going to charge me anything, are you? P.S. – Salt water doesn’t satisfying cravings like you’d expect it to. I’m sure you caught the recent police report about the horrific indecent regarding my loss of head. I regained consciousness this morning at about 6:30am. I know what you’re thinking. How exactly does one regain consciousness when one has no head? It’s a valid question and I’ll give you that. 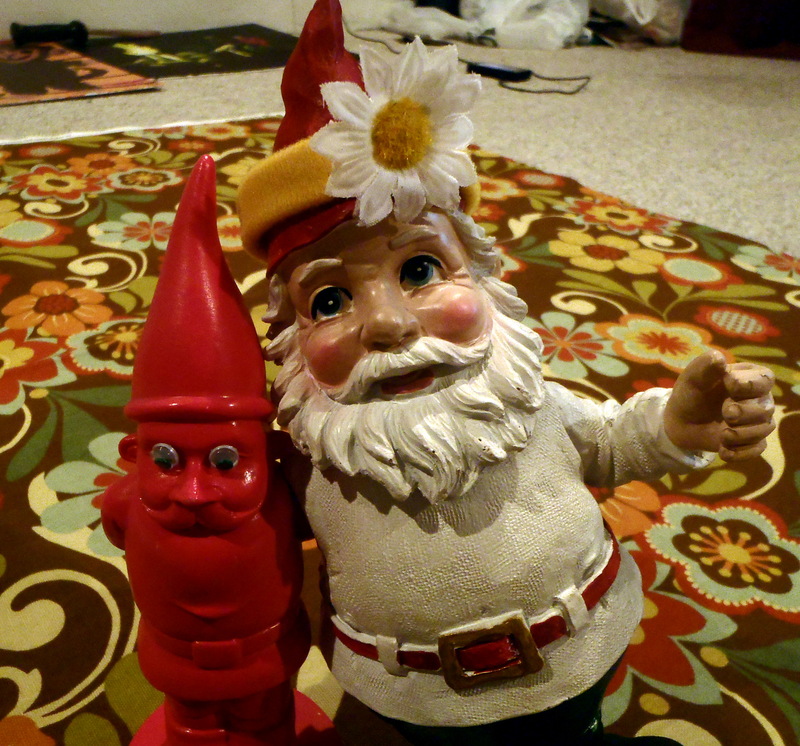 You see, gnome heads aren’t built like human heads. Our neurological brain waves transcend the boundaries of space and time in a magical way that telepathically connects to the other bodily functions. That’s what Dr. A. Chu told me anyway. He’s the only doctor around here, so I have no choice but to believe him. Although its not attached to my body, it is a completely functional, thinking, breathing, head. So in that regard, I guess I’m doing okay. Thanks for the flowers and balloons you all sent to my hospital room. I am NOT doing okay though because I am planning my wedding! How can I be a bride with no head? The wedding photos will look ridiculous. There’s no way I can wear a veil. When it comes time to “kiss the bride” Jerry will have to stoop down and pick my head up off the floor. I was always skeptical about that Costa Rican quack doctor who performed that plastic surgery head transplant back in the late ’80’s. He assured me that the head was just as stable as a normal head, but apparently he was wrong. Before that transplant, old head was ugly….but at least I was in one piece! WHAT IF JERRY CALLS OFF THE WEDDING! HOW CAN HE LOVE ME WITH NO HEAD? HOW WILL IT LOOK FOR A GNOME QUEEN TO RULE WITH NO HEAD? ARE THERE ANY REPUTABLE SURGEONS WHO CAN HELP ME? At approximately 1040 hours on 23rd November 2012, I arrived upon the scene at Mushroom Top Bridal Shoppe at 61 South Beardly Drive. An anonymous 911 call was placed due to a public dispute involving “Black Friday” retail shopping. A witness at the scene reported that alleged victim, Tabitha, was trampled while attempting to pull a wedding gown from a rack to try it on. The incident is alleged to have occurred at approximately 1010 hours. Another witness stated that Tabitha seemed blissfully unaware of her surroundings in the moments leading up to the incident in question. No witnesses can yet be named due to the horrific nature of this investigation. 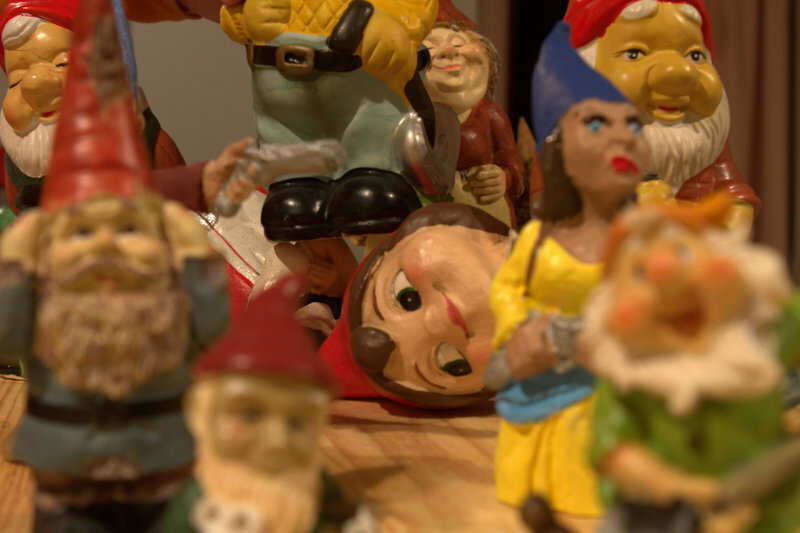 A third unnamed witness reported that gnomes were carrying guns, shovels, and other forms of garden weaponry inside the bridal store at the time of the incident. This witness further reported that alleged victim, Tabitha, was seen entering the store with a head on her shoulders. However, her head was separated from her body as a result of the incident under investigation. 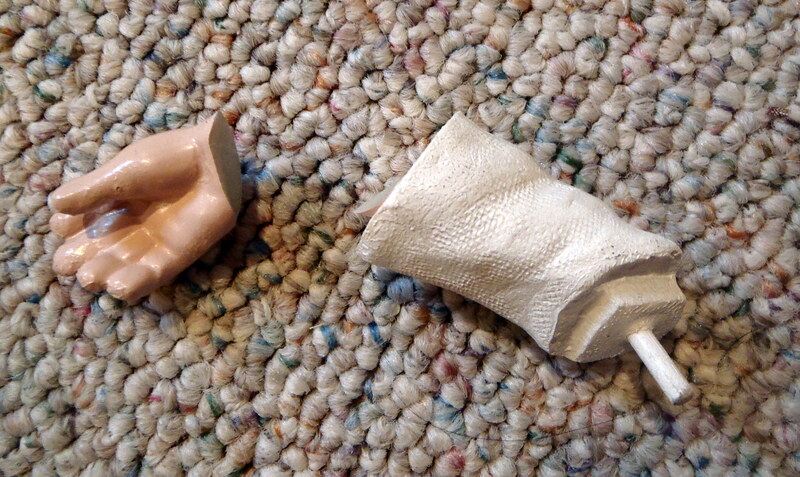 I conducted a survey of the crime scene and found several items of evidence. I collected samples of broken ceramic, an empty bag of Cheetos, and a shoestring. I obtained a sworn statements from the above noted witnesses and provided them with the case number and department information. 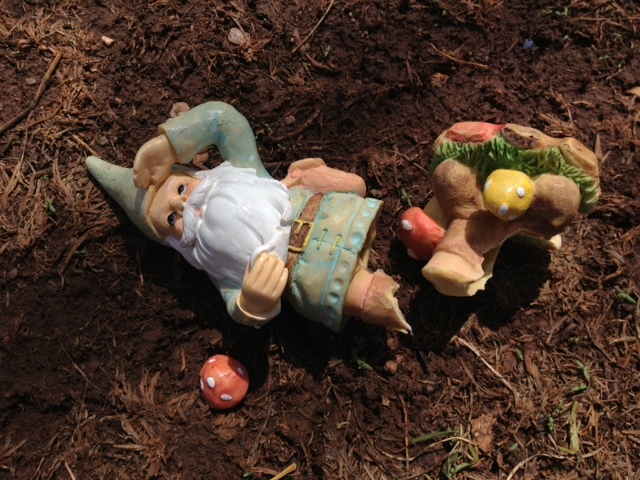 The alleged victim, Tabitha, remains in critical condition at the Gnome General Hospital (GGH). Additional information will be made available to the public once further further investigation is complete. No public questions will be answered on the record at this time. Thank you. It was a Friday night not unlike any other Friday night. My life partner, Fernando, and I got all dolled up for a night of bar hopping and debauchery. We decided to hit up a drag show at one of our favorite bars, Sidetrack. You see, Fernando and I met in the stripper cage at Sidetrack a couple weeks ago and it was the happiest day of my life! To get the party started, we sipped a few cocktails before catching a cab to the bar. I make a mean apple martini! As you can see, Fernie is a wee bit smaller than I am. I sometimes forget that he gets tipsy quicker than I do when we’re a few martinis under the wagon. So anyway, we headed over to Boystown around ten-o-clock and the cab dropped us off a block away from Sidetrack. As I was pulling a twenty out of my wallet, some douchebag came running across the street at a million miles an hour. It all happened so fast. The first thing I remember was a flash or rage and passion. The douchebag ran smack into my darling Fernando and didn’t even say he was sorry. 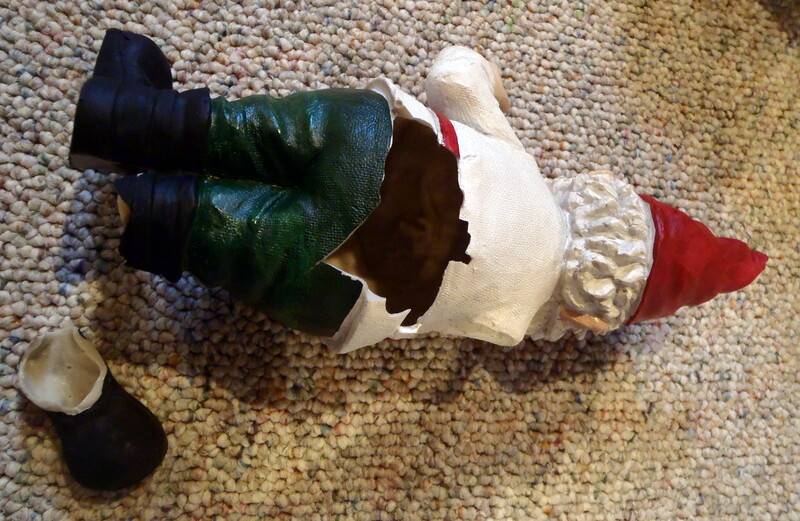 Fernando was lying on the ground, moaning in a painful drunken stupor. The next thing I remember is my fist making contact with the douchebag’s eye. God that stung. I thought I had him. I really thought I had him. I’m so freaking embarrassed about the whole ordeal. It’s hard for me to even talk about. But my therapist says I should be more open with the world. I’m working on it, okay? Okay?! 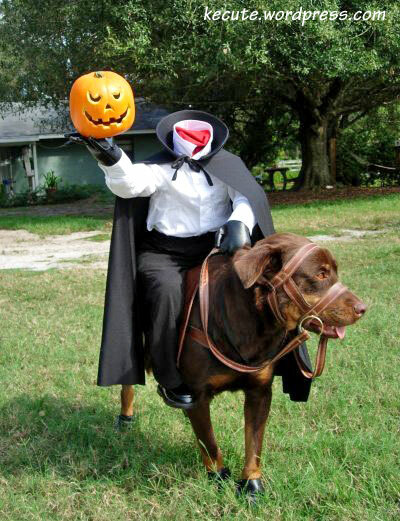 Fast forward to this morning… and here’s what I look like now. I’m hideous. Absolutely hideous! I’m missing a foot, missing a hand, and I have no idea where the chunk in my back went to. Fernando dragged me back into a cab and back to his place after that douchebag kicked the crap out of me. I just tried to defend his honor and this is how the universe pays me back. The details are fuzzy and I’m glad that they are. I have no idea how he even stands to look at me the way I am right now. My poor hand is unattached from my arm. And my arm is unattached from my body. Yes, I’m typing this blog post with one hand. Yes, this is taking me a very long time. I am hereby making a plea to all of you gnomes out there reading this. Actually, I have two please. If you have any information about a douchebag who was running across the street at the intersection of Belmont and Clark last night at approximately 10:25pm, please respond to me ASAP. Dude’s gotta pay and I will see him face smashed into a million pieces if it’s the last thing I do. My second plea is one for medical attention. The only doctor here at The Gnome Abode is Dr. A. Chu. He’s more of an internal medicine specialist. 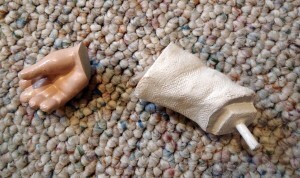 I need a master surgeon to put me back together again. I’ve heard of some baby monkey prodige who’s operated on gnomes in the past, but I’m not sure I trust him. If any of you gnomes out there know of other surgeons taking new patients, I’d really REALLY appreciate it if you put in a good word for me.